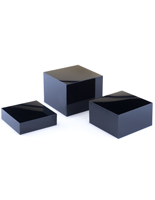 This black acrylic cube set is a great way to present your retail items instead of traditional display cases. 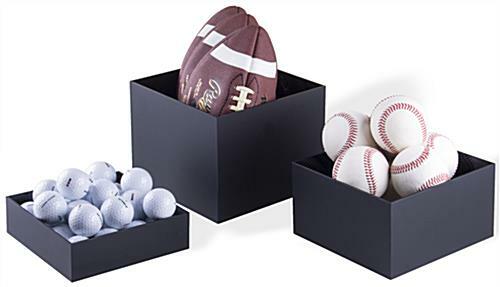 The set of 3 sizes provides ample surface area for showcasing different merchandise either on top of, or inside of the hollow boxes. 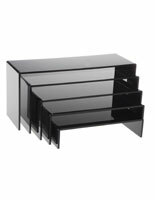 Use the nesting set of 3 display risers in both commercial and residential settings, or anywhere you need to present items in a stunning, aesthetically pleasing way! 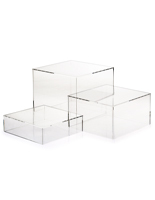 Stack them, stagger them, or turn them upside down and fill them - these boxes are so versatile the design possibilities are endless! 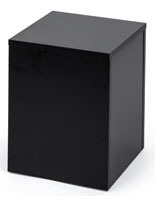 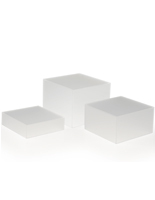 The cube set has a matte finish and is 3mm thick for durability. 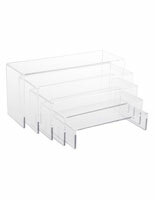 Place them together or separately- each of the display risers fits inside of another creating endless ways to accessorize your merchandise. 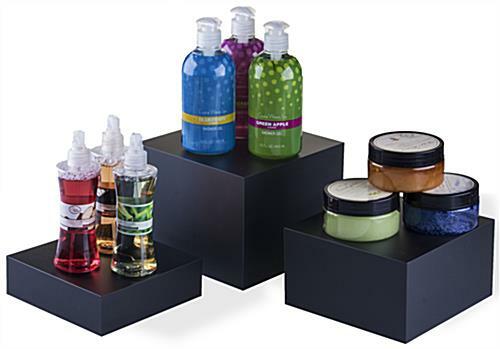 The cube set shown here is perfect for showcasing products on store shelves, retail counters, or with “impulse buys” at checkout. 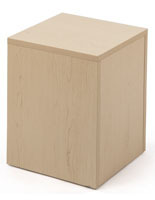 The material , color and the size just perfect for our job need.